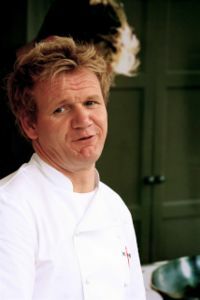 For those, who do not know, Gordon Ramsay is a highly successful British chef/restaurateur/TV presenter who presents (among other TV shows) Gordon Ramsay’s Kitchen Nightmares. This show is essentially about Ramsay improving the prospects of flagging UK restaurants. Although, different every week, Ramsay’s underlying message is the same. If your restaurant has certain characteristics and good food you will (be more likely to) succeed in the industry. Ramsay’s advice doesn’t work solely for restaurants, it also applies equally to web agencies (and for, that matter, countless other industries). I have broken down some of Ramsay’s advice and shown how it can apply to a web agency. A chef whose food is well prepared can get food out to his customers much quicker than the unprepared chef who has to cut his carrots and cook them whenever an order comes in. I have all these files arranged into a folder called template on my PC. This folder has all the necessary subfolders e.g. img, js, includes, and more already in it so when a new project comes along it takes me around 20 minutes to get it to a stage where I can start applying the design/content to it. This means I can show my boss and/or clients progress almost immediately if I want to. A restaurant that has 250 main courses on it’s dinner menu may sound like it offers great choice but, do customers really need that much choice? The stress for the poor chef trying to remember so many recipes would be excessive and the food would suffer for it. Ramsay always proves that having a limited menu of succulent options is far more appetising to customers and easy for kitchen staff to maintain. It also brings in economies of scale that drive up your profit margins. Of course, a customer can order off menu (i.e. order food not explicitly listed on the menu or a variation of the menu listing) but it’s a rarity if it happens, and certainly not the norm. Giving a client free reign really slows up a web agencies production because sites end up being developed where the code isn’t reusable and/or the project can’t make use of previous projects code. This means projects can take a long time. In a restaurant if the chef takes too long in the kitchen, then customers get pissed off and don’t pay plus they go on to tell all their friends how crap the restaurant is. Web design is no different. As I mentioned above, by limiting the menu options a restaurateur can make savings from buying ingredients in bulk. They can also cut costs by ensuring they have the best priced ingredients* e.g from local suppliers. A web agency serving up very similar sites to clients can most probably use the same web host wit the same setup for each clients which will product savings. Shopping around for the best price server (whilst maintaining quality) could save you a packet. Plus if you get a good host that could be a selling point to clients just like informing customers to a restaurant that the meat is of the highest quality will undoubtedly improve sales. You could also save money by using PHP/MySQL and not paying for those Microsoft licences to run SQL server. You could then pass these savings on to your client via a reduced cost or increase your profit margin and charge the same price as your .NET neighbour. Another saving is made via writing/using reusable code. If you write your code in such a way that it can be easily used for future projects you’ll save a lot of time. Just like the chef who uses his left-overs from the day before for today’s soup of the day, you’ll be making the most of your ingredients. Ramsay visits a lot of restaurants outside of London without Michelin stars that are charging top whack for their food. Invariably the customers simply don’t go to those restaurants. Ramsay can affrod to charge whatever he wants for the food in his restaurants because he is who he is. Dave Nobody can’t because he doesn’t have the reputation. Similarly, in web design, the big agencies like Jeffrey Zeldman’s Happy cog can afford to charge higher prices (I presume they do) because of his and his employees heavyweight reputations but your newly started agency shouldn’t be thinking of charging the same price. At a restaurant the head chef decides, at the hot plate, what is and what isn’t good enough to get sent out to customers to eat. A restaurant lives and dies by its reputation and if shoddy food gets sent out, that reputation slides into mediocrity. A web agency has a duty to only deliver thoroughly tested, good quality websites to clients. The client shouldn’t find themselves getting sued 3 months after their site launches because it breaches accessibility guidelines or infringes on copyright. Your the expert in web design, you client isn’t so you have to ensure you provide top quality to them. The amount of times, I’ve phoned an IT company and found their customer support to be deeply in need of interpersonal skills is too many to mention. Your developers/designers/project managers are the equivalent of a restaurant’s waiters. They have to be charming to clients, explain the options available to them in a user friendly way and explain if a problem has occurred. A great website, at a reasonable price, delivered within a reasonable amount of time are the winning ingredients for any successful web agency. If you follow Gordon Ramsay’s advice you’re bound to succeed in the web game. This is important please read it: I don’t know Gordon Ramsay personally, I’ve never met him and so, I can not pass on messages to him on you behalf. I’m not Gordon Ramsay and I don’t know anything about restaurants. Hilarious! Hope Gary manages to find some help elsewhere.. Though he could probably learn a lot from either you or Gordon. Please can you let me know an address for Gordon Ramsey or his agent as I would like to extend an invitation to a book launch for a food author who I believe is known to him. I would be grateful if you would ensure that this message is passed on. Sally, I don’t actually know Gordon personally so I cannot help you.